I saw Margin Call the other night – I thought it was very good. 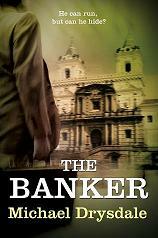 It’s the story of 24 hours in an investment bank during the 2008 banking crisis. Despite almost the entire film taking place in an office, the result is a tense, gripping production. I particular liked the opening scene of risk manager Stanley Tucci being fired. I found the younger characters convincing but I thought the older characters lacked the nastiness one expects from senior banking executives. The character played by Kevin Spacey was far too cuddly. Spacey is a fine actor so this is not his fault rather the script’s. Jeremy Irons, one of my favourite actors, played the vulpine CEO well, but I didn’t feel the character was menacing enough. The CEO was in awe of the junior former rocket scientist (Zachary Quinto) and showed it; in reality a CEO would never openly display awe or admit ignorance. An exception was the character played by Simon Baker. This was a 43 year old senior executive, who despite his boyish looks did show considerable menace and was really quite scary.